At 10:00 I am supposed to check my travel permit at the Tourism Service Center in Harnet Avenue. To my surprise the travel permit for Gergera is okay! The MoT worker explains that for these kind of special trips I should get in touch with Mr. Santos of the Ministry of Tourism HQ. For the description of Mr. Santos looks I understand I already have visited his office, and it was the combined efforts of Mr. Santos, Mussie of Eagle Travel and the 2014 and 2017 recommendation, letters of the Eritrean Embassy in The Hague to get me the permit. I call Mussie to inform him that I got the permit, but the permit is for today, February 15. Mussie judges that in that case we will have to visit the Gergera dam today (and not tomorrow morning). Mussie will pick me up after his lunch break at 14:00. Just after 14:00 we leave to the Gergera dam, accompanied by Kokob, the Italian speaking Eagle Travel Tour guide. 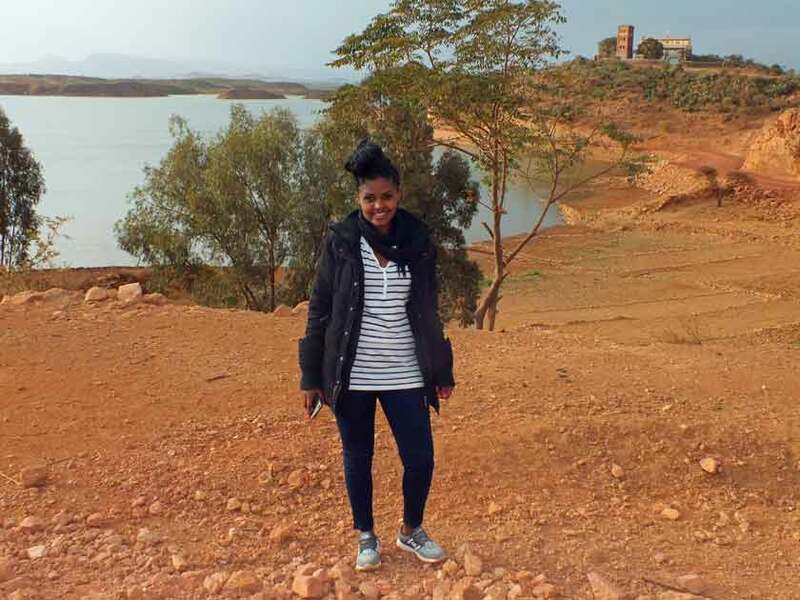 She will witness the visit to Gergera, to prepare future visits for Italian tourists (most tourists from the European Union are from Italy, as Eritrea used to be an Italian colony for 50 years). 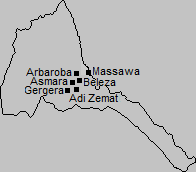 35 kilometers to Debarwa. Three kilometers after Debarwa we turn to the left, to take the road to Halhal, Adi Halo, and Gergera. From the road crossing it is 15 kilometers to the dam, following a dirt road. The road itself is under construction, which means we have to pass a lot of heavy trucks and earth movers every once and a while. Sometimes the road is blocked by an earth mover, further delaying the trip. Mussie parks the car a few hundred meters from the dam. 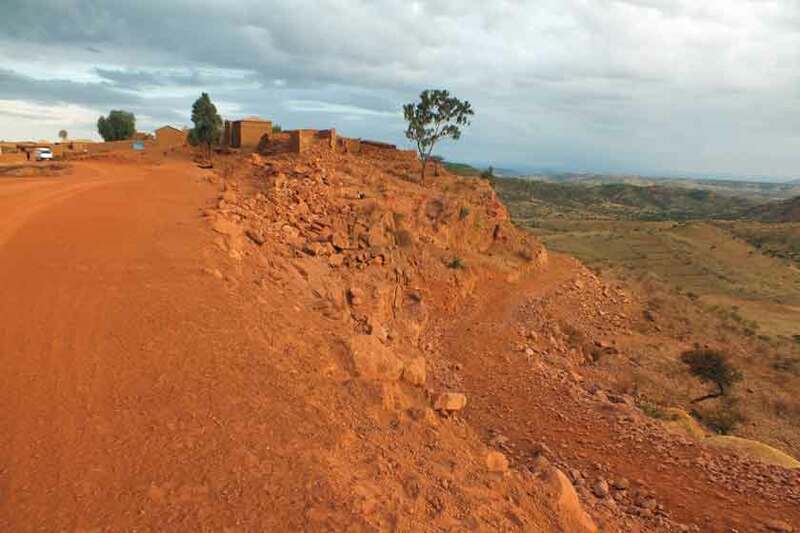 We will do the rest on foot, as the last part of the road is not yet accessible for the Eagle tour bus. We walk the last 400 meters to the dam that stretches out 750 meters to collect millions of liters of water so precious for the water supply of Debarwa and its wide surroundings. Four rivers feed the dam: from Guh Chea, from the Tslma villages, from Adi Halo, and from around the Emba Teqera area. 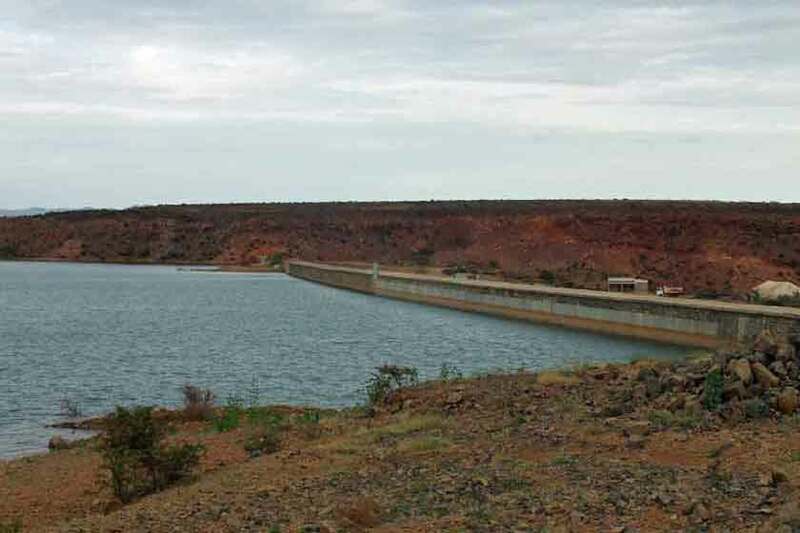 In addition to the rivers, the dam can hold significant supplies of rainwater (extending up to approximately three years). Collectively, the serviced regions cover an area of more than 430 km2 until the last point of the dam. 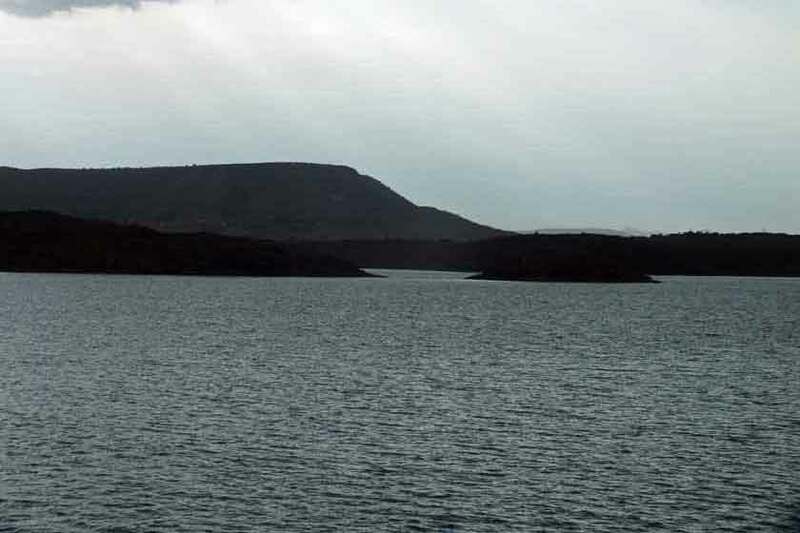 The Gergera reservoir itself covers 8 to 10 km2. 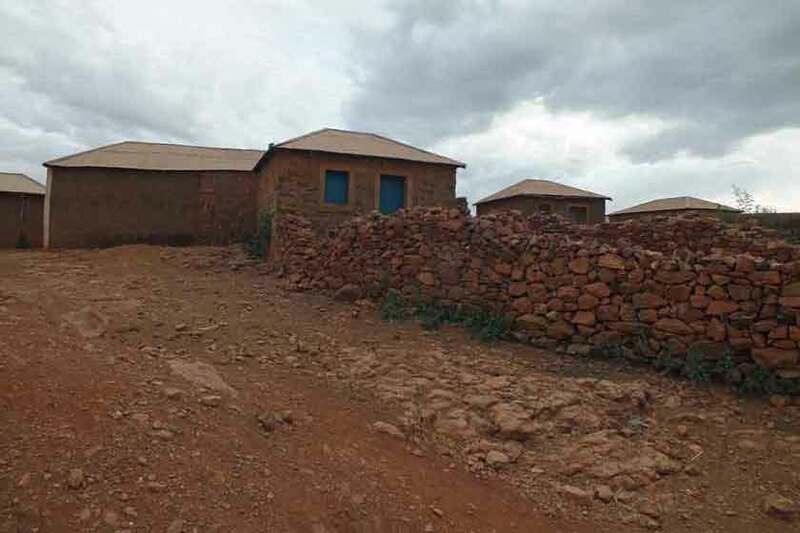 The Eritrean government is investing in huge projects amassing substantial amounts of water for its people, and to utilize this water to increase agricultural production, and is part of the national strategy and policy of sustainable development. 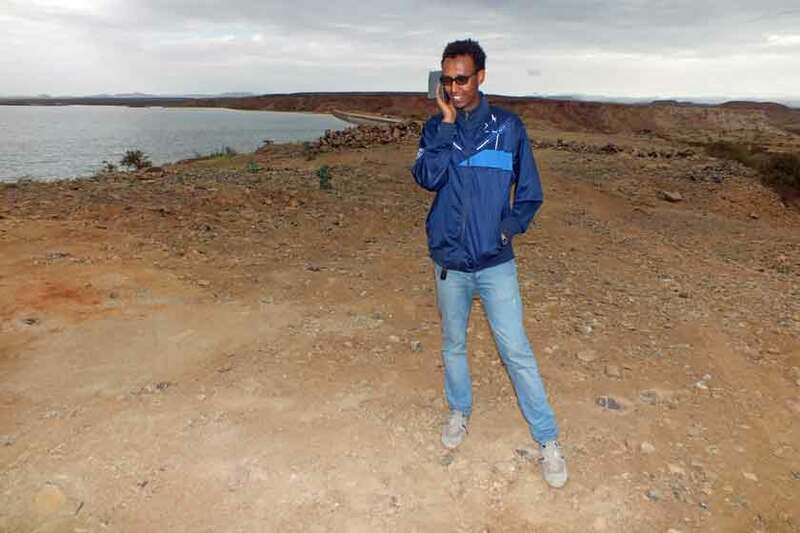 The Gergera water reservoir contains 30 to 40 million m2 water, with a maximum of 50 million m2 and is supplying clean water to the towns of Dekemhare, Debarwa, Mendefera and the surrounding smaller towns. 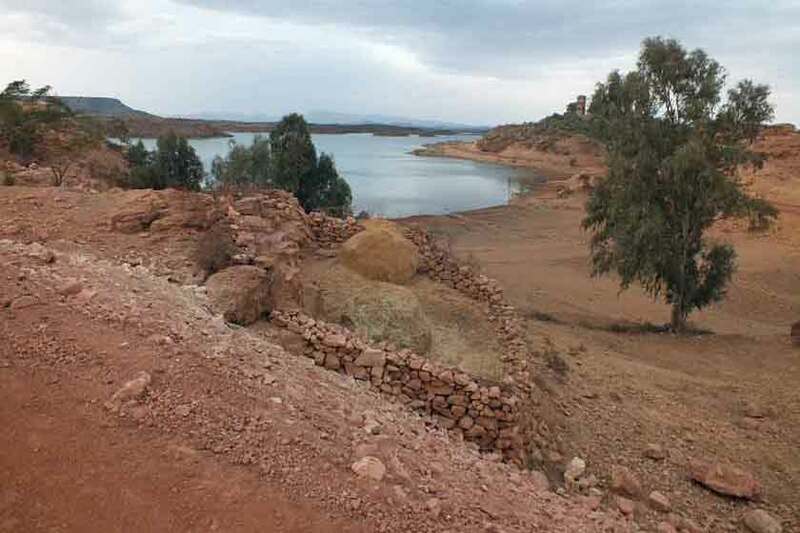 The dam was built by the Seghen Construction Company, Eritrea’s military forces, students and citizens engaged in community-development summer programs (or forced/cheap labor, as referred to by anti Eritrean propaganda). 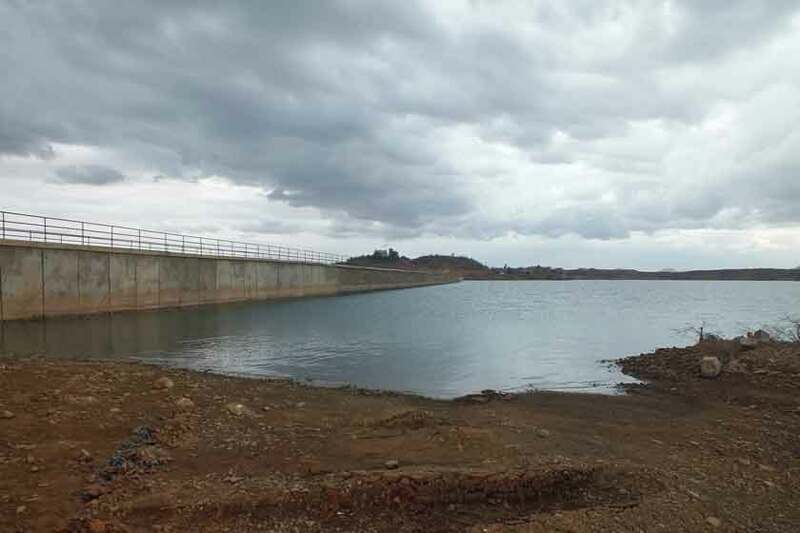 The dam was built in two stages, as the first plans underestimated the growth of the reservoir during the rainy season. Where in countries like Ethiopia and Somalia many millions of people live on the edge of starvation because of no, or bad government combined with frequent droughts, the Eritrean government gives high priority to investment in water infrastructure, to secure Eritrea’s demand for potable water, as well as for its livestock and agriculture, and industrial purposes, as part of Eritrea's unique developmental policy, based of self reliance, instead of being a beggar’s nation. 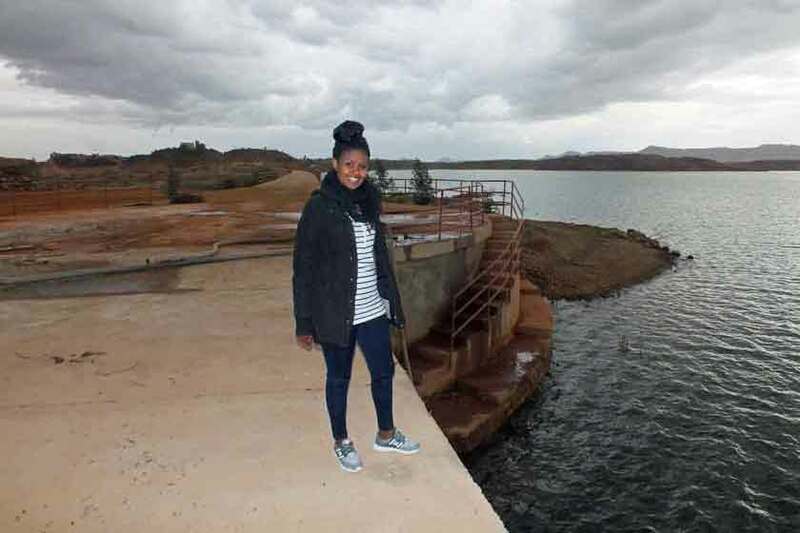 We walk up and down the dam, to experience its length and to picture ourselves on one of the masterpieces of Eritrean technical and development engineering. Just because we are there anyway, we also visit the village that gave its name to the dam: Gergera. A small village with modest traditional houses, and a beautiful countryside. Now bordering to an impressive lake. I planned the trip to the dam in 2014, but then did not receive a travel permit, because I was unable to specify my mode of transport. Now I know why. The visit to the dam would have been a mission impossible for someone without a car and a guide. 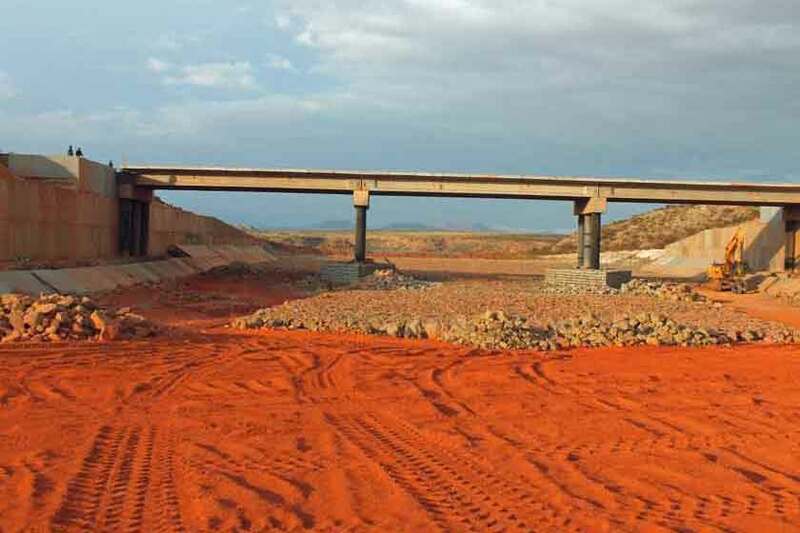 Around 18:00 we commence the return trip to Asmara, making a short stop at one of the other projects: the construction of a new road, including related infrastructures like bridges and passages of the seasonal rivers. 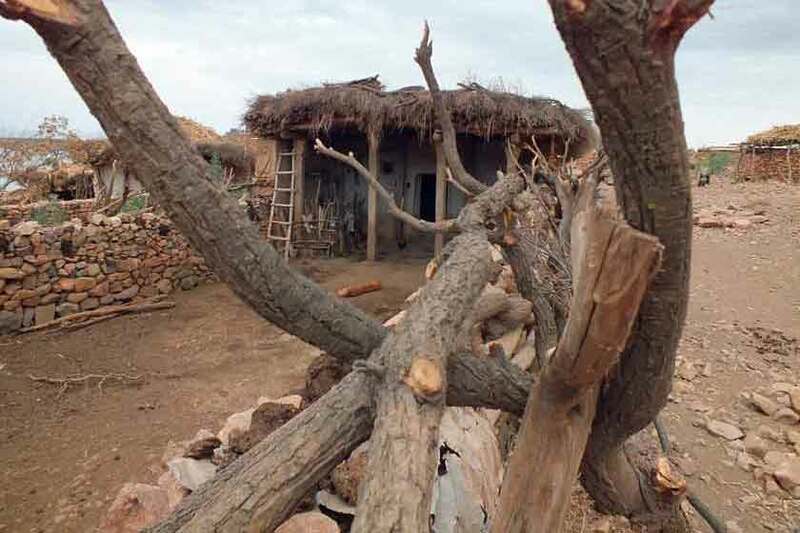 Unfortunately, it is too late to visit Debarwa, a nice and cozy village en route. I will have to apply for a new travel permit tomorrow, or add it to next year’s plans. 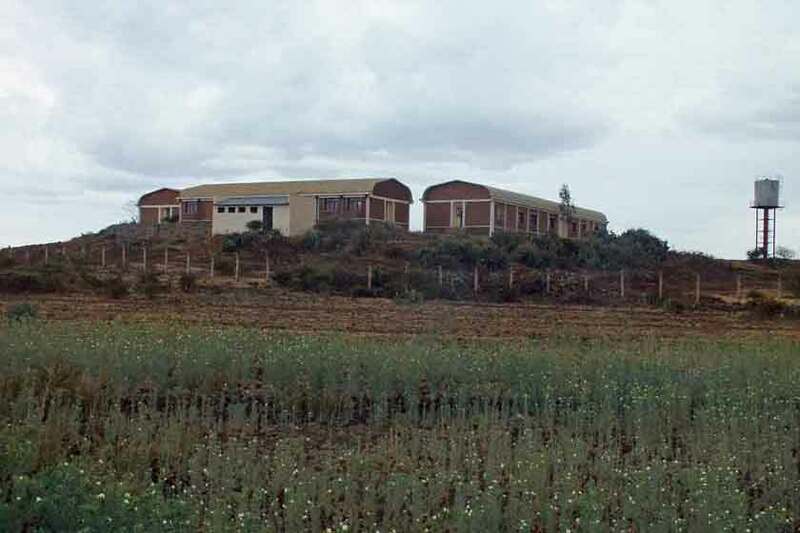 Technical College - HalHal Eritrea. 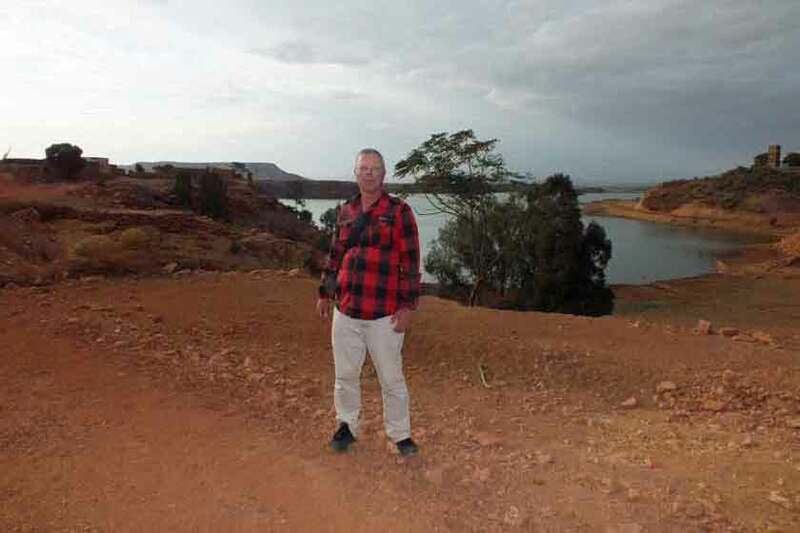 Walking the Gergera dam - Gergera Eritrea. 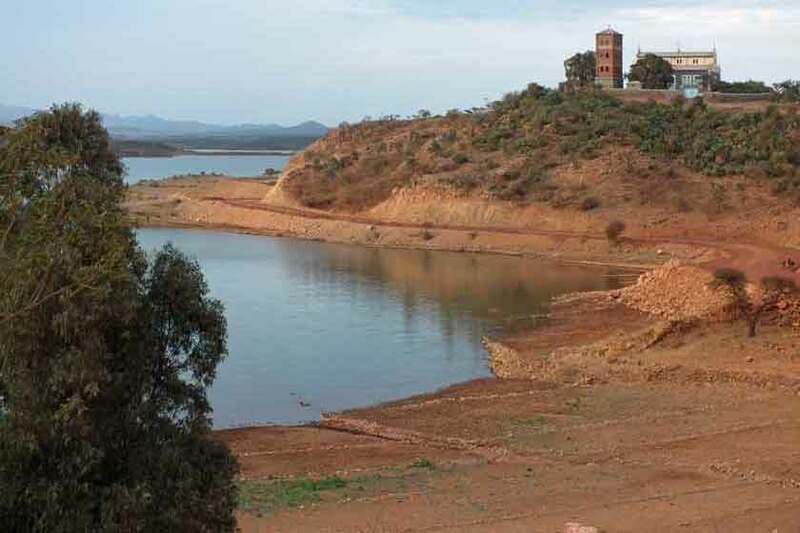 Gergera dam - Gergera Eritrea. Mussie (Eagle Travel & Tour Agency) - Gergera Eritrea. 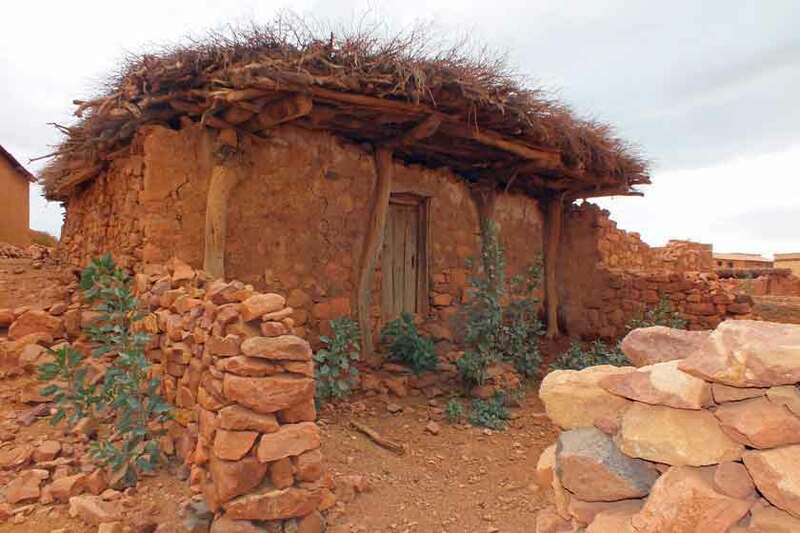 Kokob (Eagle Travel & Tour Agency) - Gergera Eritrea. 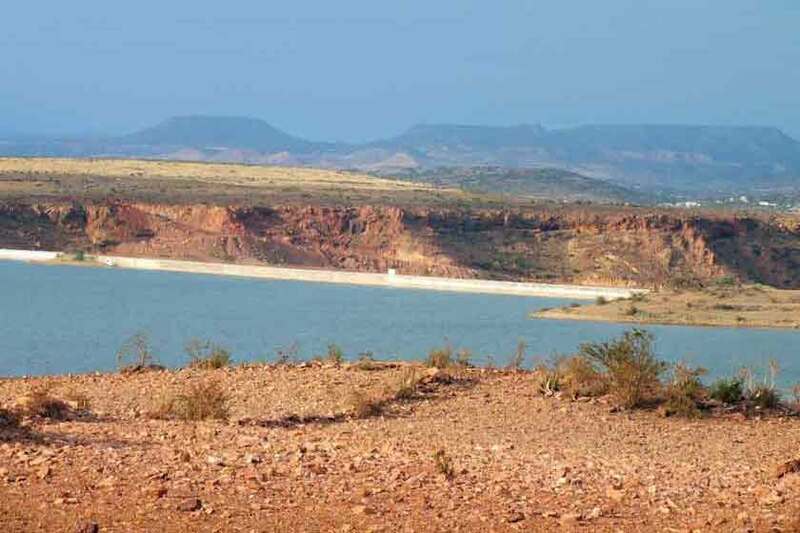 Gergera water reservoir - Gergera Eritrea. 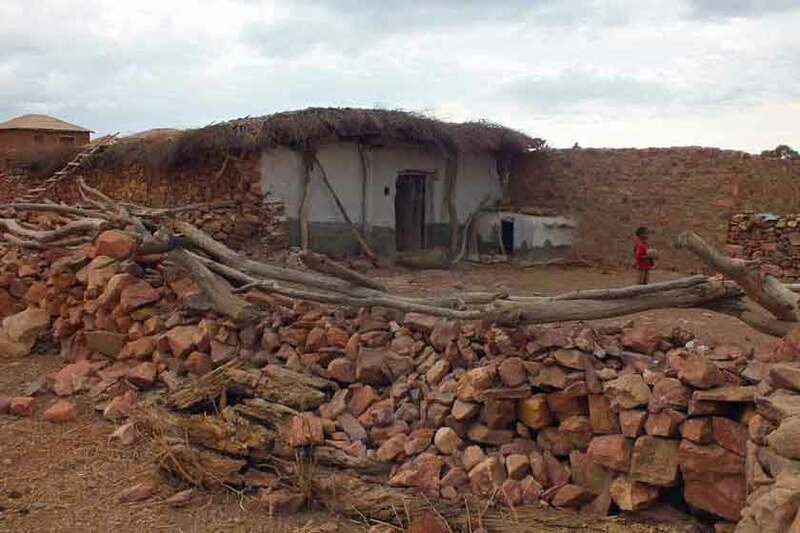 Gergera village - Gergera Eritrea. 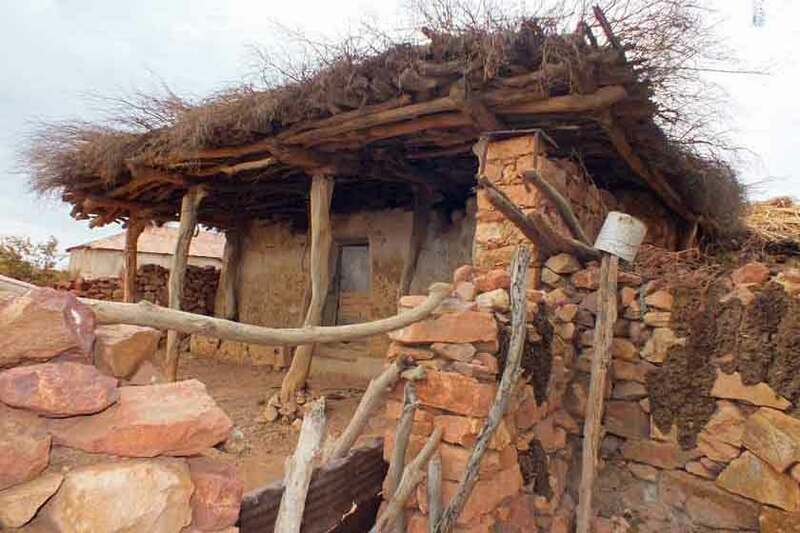 Hidmo (traditional house) - Gergera Eritrea. Scenic view on the cliffs - Gergera Eritrea. 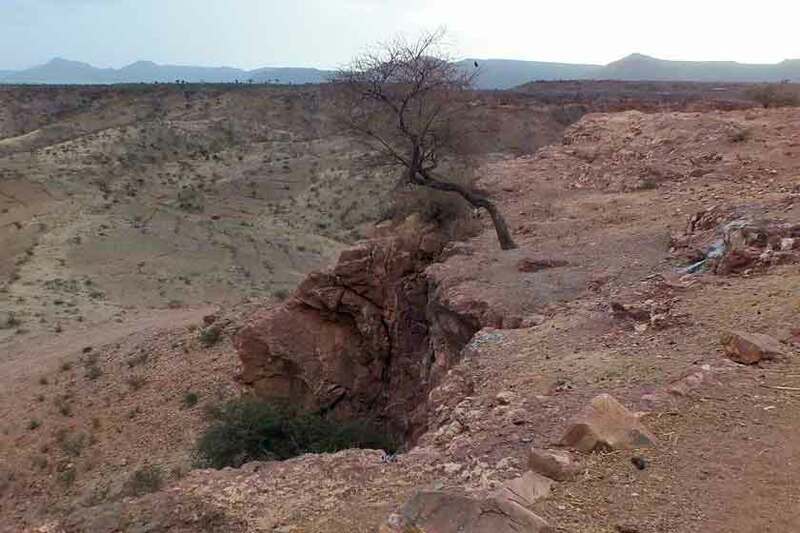 Scenic view on Gergera landscape - Gergera Eritrea. Scenic view on Gergera village - Gergera Eritrea. 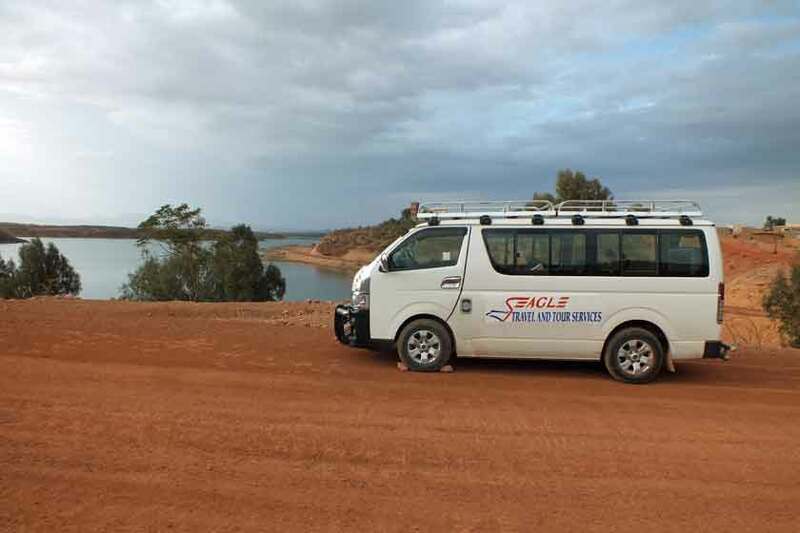 Eagle Travel and Tour Services mini bus - Gergera Eritrea. Hans was here! 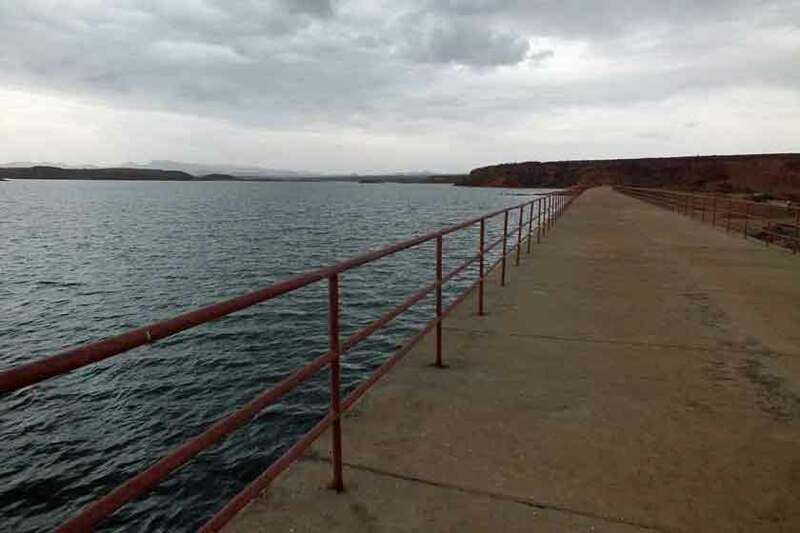 - Gergera dam Eritrea. 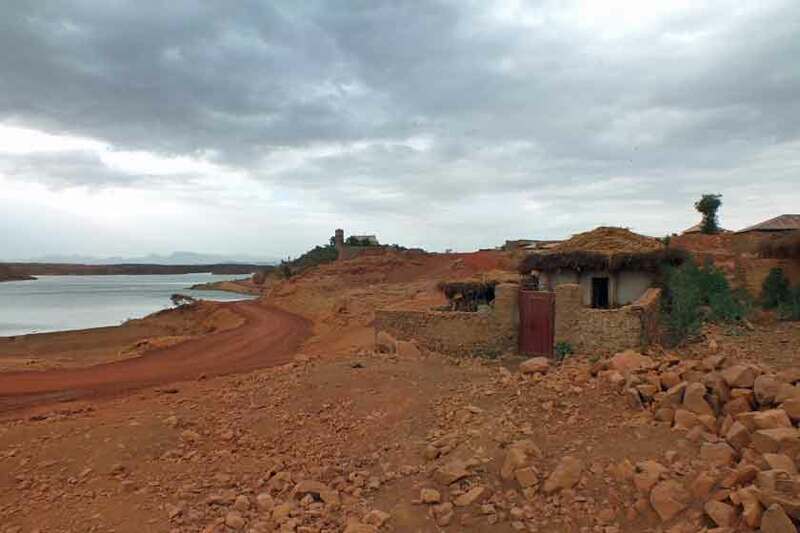 Kokob (Eagle Travel Italian speaking guide) - Gergera dam Eritrea. 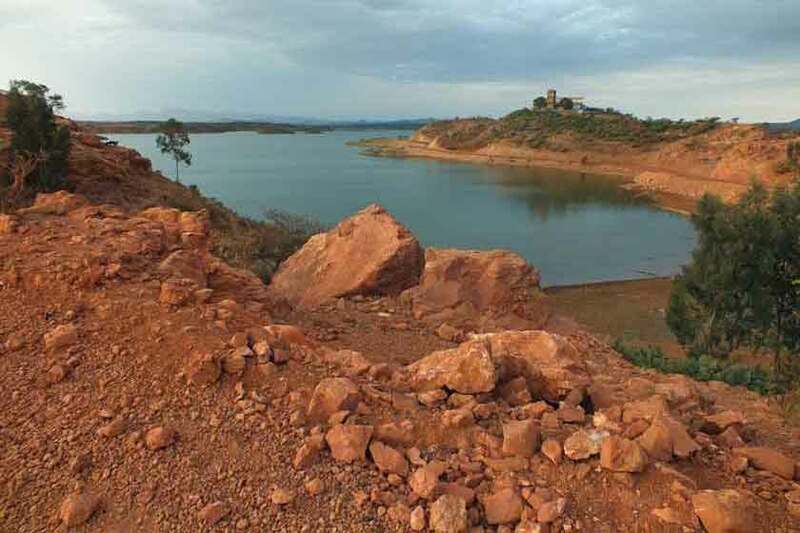 View on the Gergera dam from a distance - Gergera Eritrea. 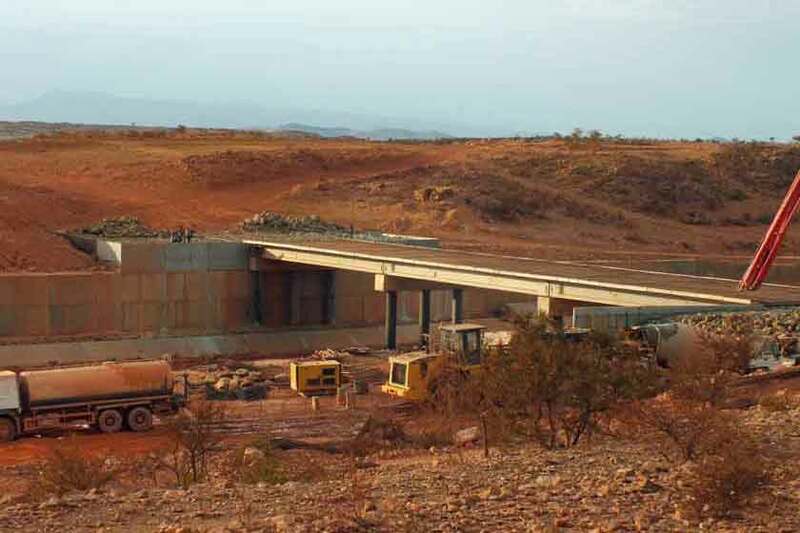 Construction of a new bridge - Debarwa surroundings Eritrea. 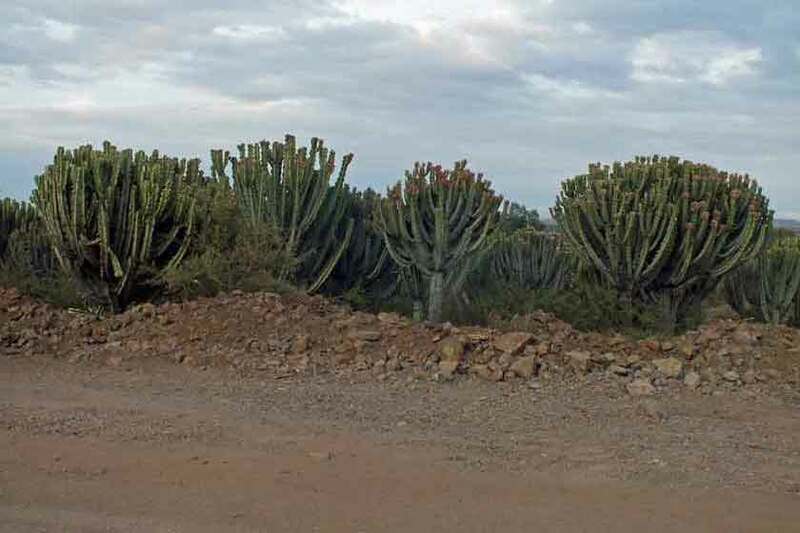 Cactus forest - Road to Debarwa Eritrea..
Eagle Travel and Tour Services Asmara.